Healthcare employees have many workplace options. Industry insiders share six reasons to choose a hospital. While the demands and stresses of hospital work are many, so are the rewards that come from helping people in need. "Hospital work is unique," says Debra Stock, the American Hospital Association's vice president of member relations. "Everything you do supports families and patients when they are at their most vulnerable. It really is a very special type of work." Hospital workers can also take pride in the fact that "hospitals are the backbones of communities, and what you do directly supports the community," she says. Nearly 5.7 million people work in hospitals, and the demand is growing for even more hospital employees. "The long-term outlook for hospital jobs is excellent," Stock says. "As Baby Boomers get older, they will consume more healthcare and hospital services." The demand for nurses, pharmacists, pharmacy technicians, imaging technicians and other hospital workers continues to rise. 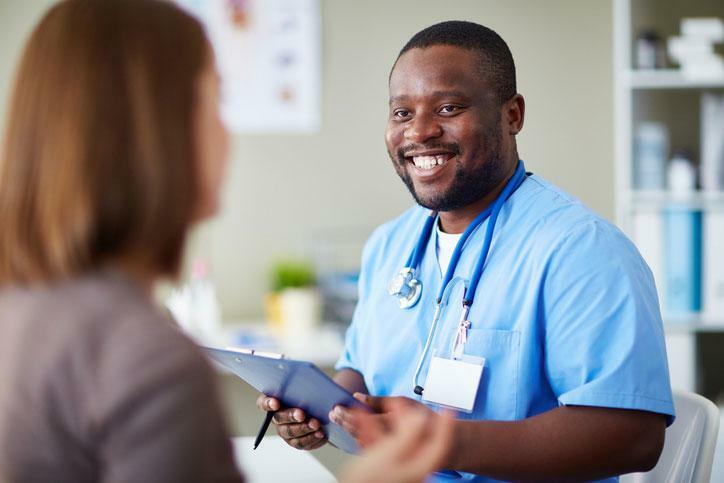 Hospitals offer tremendous opportunities for professional development and exploration, says Colleen O'Leary, RN, a staff educator at Northwestern Memorial Hospital in Chicago. "In a hospital setting, there is always something new and exciting to learn," she says. "You can go to programs and get involved in research projects. Whatever you're interested in, you can find in a hospital setting." Hospitals are an especially good place for novice nurses to start their careers, according to O'Leary. "It is a structured setting in which new graduates can get a good taste of different kinds of nursing," she says. "They can find out what energizes them and makes them want to come to work every day." Hospitals are also a "fantastic workplace for people considering second careers," Stock says. "Many healthcare professions require only two or so years of study. These professions are going to continue to be in high demand." Hospitals are open 24 hours a day, seven days a week. "Hospitals offer a lot of flexibility in terms of when and how people want to work," Stock says. Plus, many hospitals have long histories and secure futures compared with companies in other industries. This relative stability appeals to risk-averse workers. Hospital jobs offer something for everyone, from information technology specialists to patient advocates. "Hospitals offer all different types of careers," Stock says. "We're very high tech but also very high touch." Many hospital careers combine both elements. As an oncology-certified nurse at a comprehensive cancer center, O'Leary gets to use cutting-edge equipment, but also forms old-fashioned bonds with her patients. "I became a nurse, because I wanted to make connections with patients," O'Leary says, and her hospital job allows her to do just that.